Well, although the weather here is still very mild for the time of year, my thoughts are gravitating towards chillier times. With Christmas not too far off in the future, I am readying myself for some craft fairs…so stock is needing to be produced! Luckily it’s half term and although I’m having to entertain my little lad by day, my evenings are blissfully full of fabric, thread and all the accoutrements of my craft. Sorry, but I love that word, accoutrements, so needed to get it in somewhere. I promise that’s it for today, though! 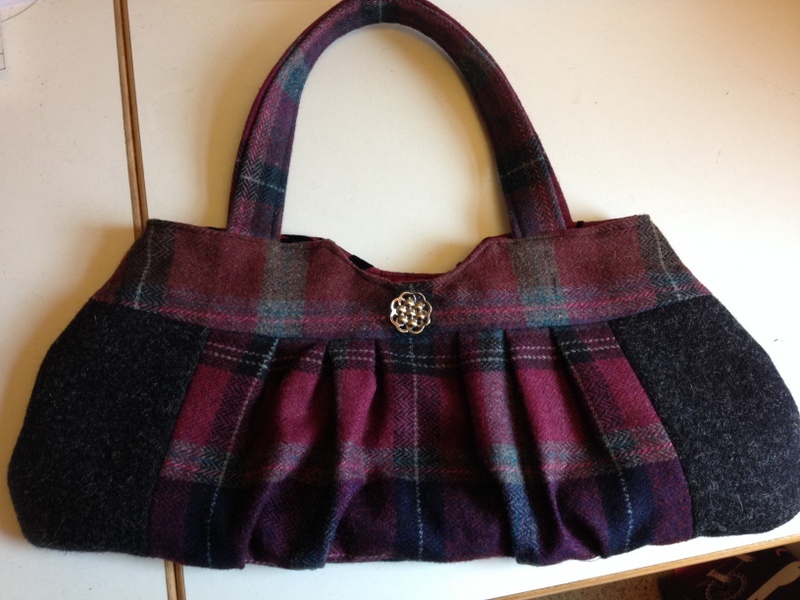 Last year, I made some cute little tweed handbags using pieced bits of handwoven Harris Tweed that my lovely Mum brought me back from her hols there. 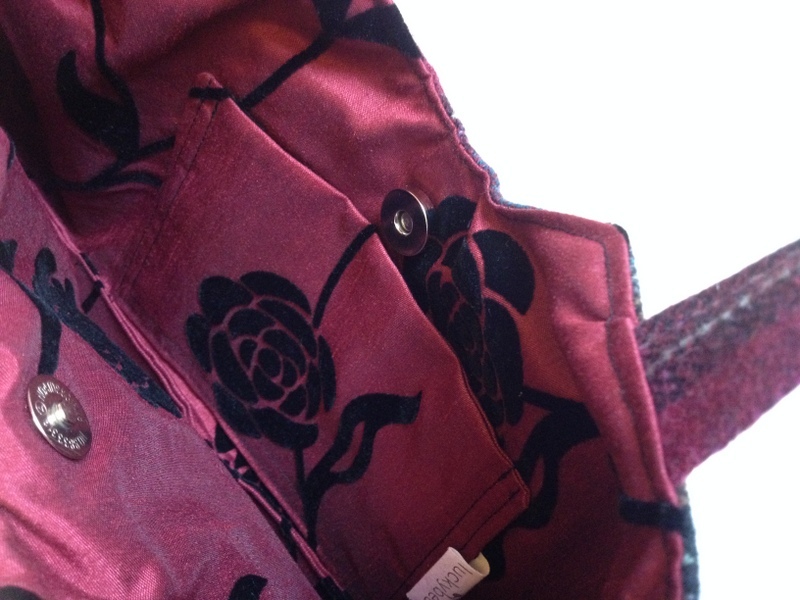 Beautiful fabric, lovely shades and they made sweet little bags. Well, they all sold out (to various parts of the world, including France, Scotland, Canada, New Zealand & Japan, which is lovely!) So I thought I’d better get some more ready for the coming festive buying season! 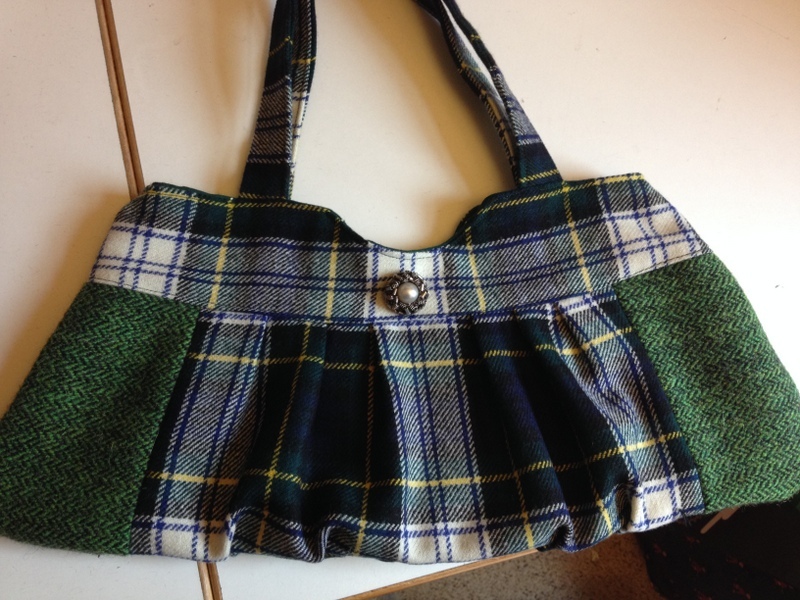 I am wondering whether to do little matching coin purses to go with them…what do you think? 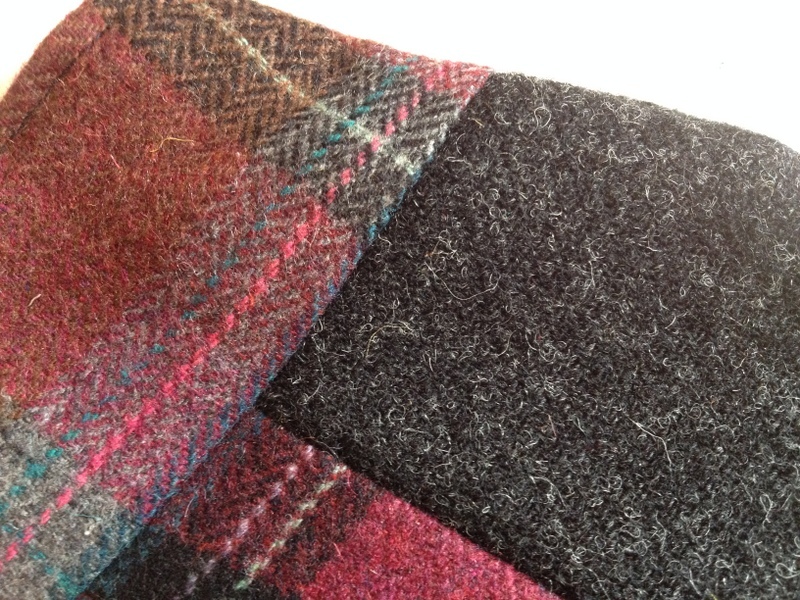 I love these gorgeous tweedy fabrics! Hello autumn! 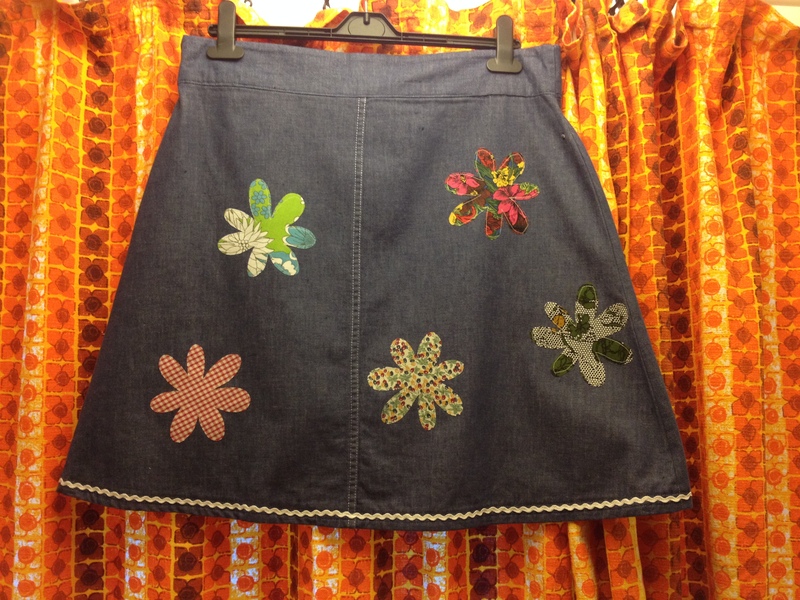 DIY applique – or How to cover up a boo-boo! 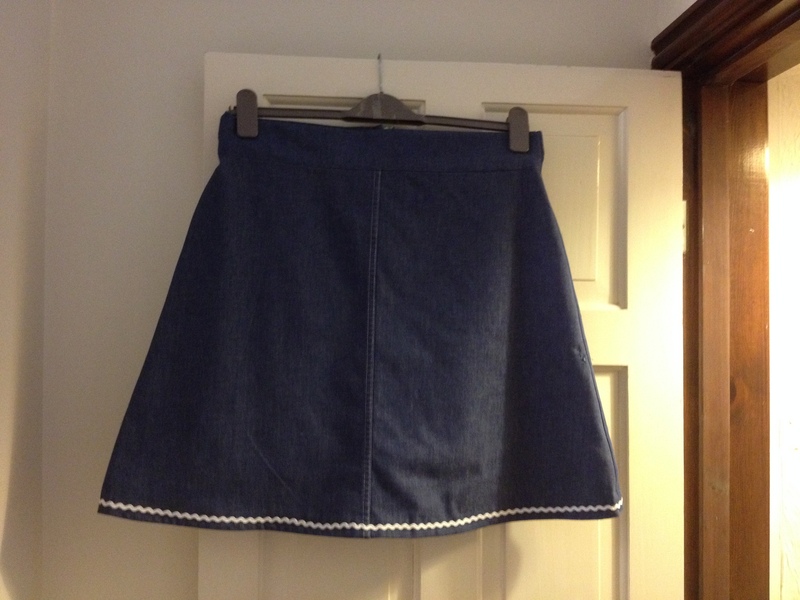 I made this denim skirt several weeks ago during the summer (Tilly and the Buttons Delphine pattern). I was pleased with how it turned out (lovely shape!) but after trying it on a few times, realised that the ‘give’ in it was annoying me and I had made it a little too big. I needed to adjust it slightly from the waist through to the hem and so I did. 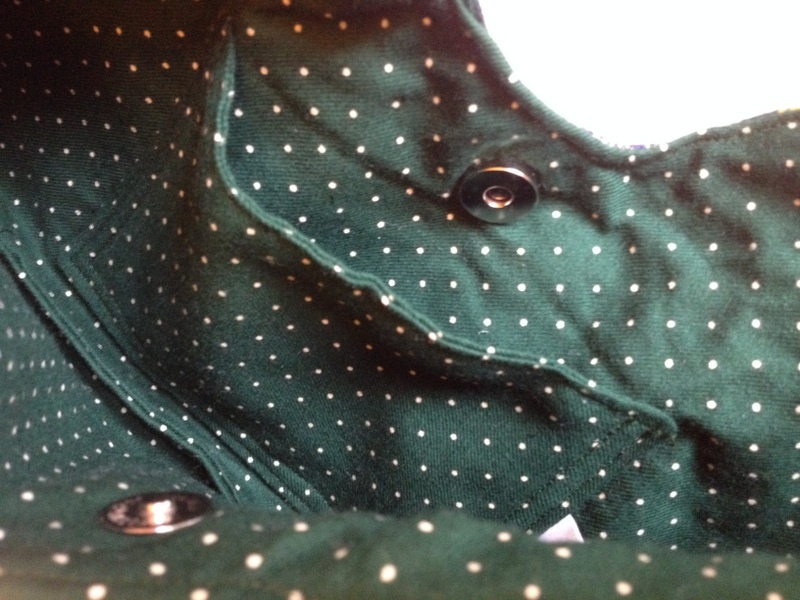 But in the process, because I was hurrying to finish it, I stuck my seam ripper through the fabric by mistake and left a little hole…eek! 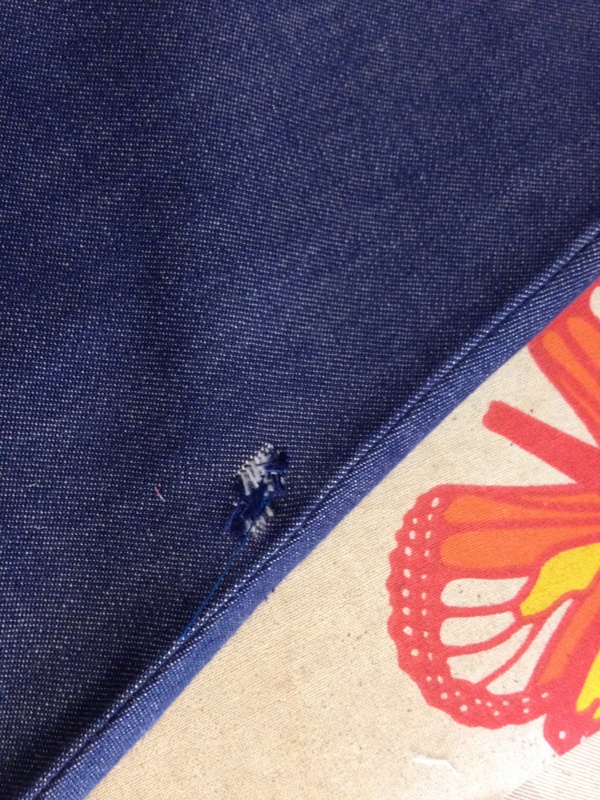 I tried darning it but it’s a heavy weave denim and so it just started fraying. Oh no! What to do? Never mind, thought I, nobody will notice. So I hung it in my wardrobe. Well, it’s been hanging in my wardrobe ever since, and every time I go to wear it, I realise that the little nick is really noticeable and frankly looks rubbish. So finally today, I decided to sort it out. I’m not wearing it, so even if it went a bit wrong, what did I have to lose?! Oh dear – pretty noticeable ‘nick’! I do love a bit of applique, so had a quick think and a browse through my many craft books for some inspiration. I thought about foxes and giraffes, trailing vines and spots. But finally I settled on flowers, sixties-stylee. 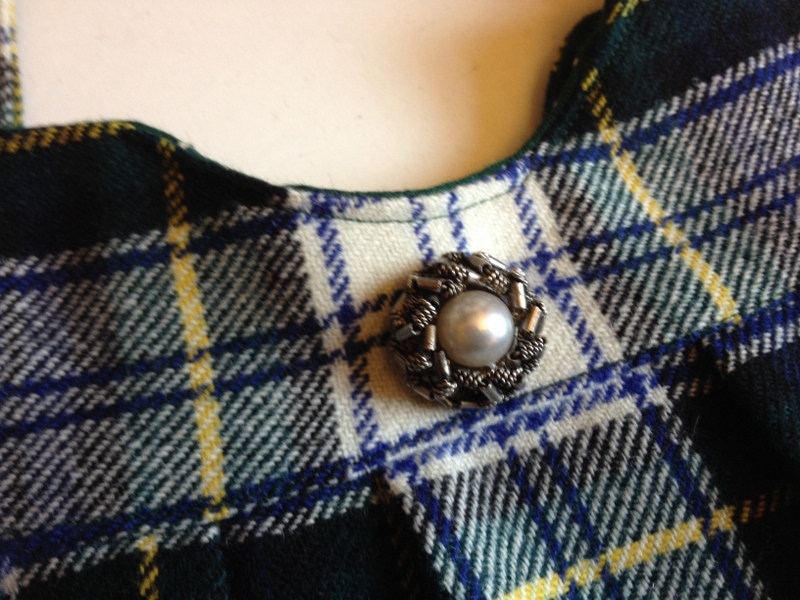 I rummaged through my scrap box (always keep little scraps – they do come in soooo useful for many bits and pieces!) I chose a few pieces and drew a freehand flower shape and went to work. I cut 5 shapes for the front (in different fabrics) and arranged them. 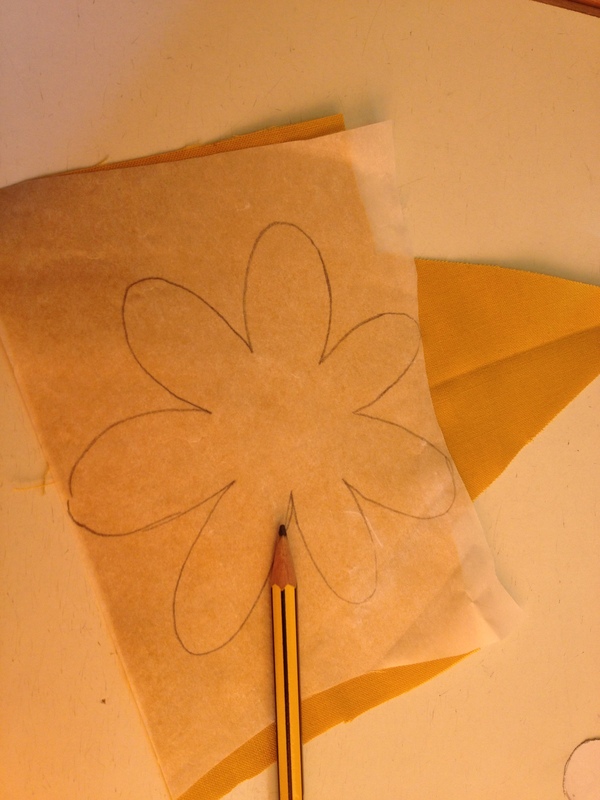 I then decided it needed to have flowers on the back too, so I cut a further 5 flower shapes for the back. 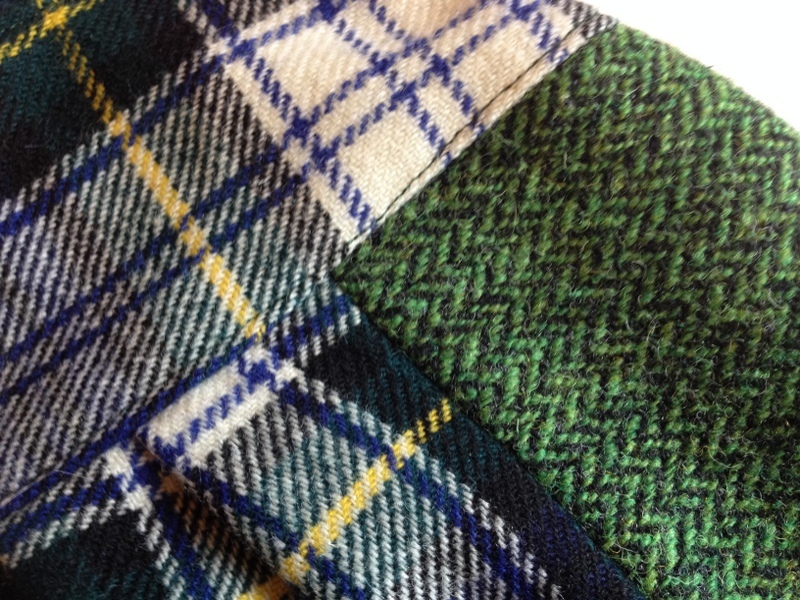 I ironed on Bondaweb to the fabric and cut the shapes out. Iron the bondaweb on the reverse of the fabric, then draw the shape and cut it out. 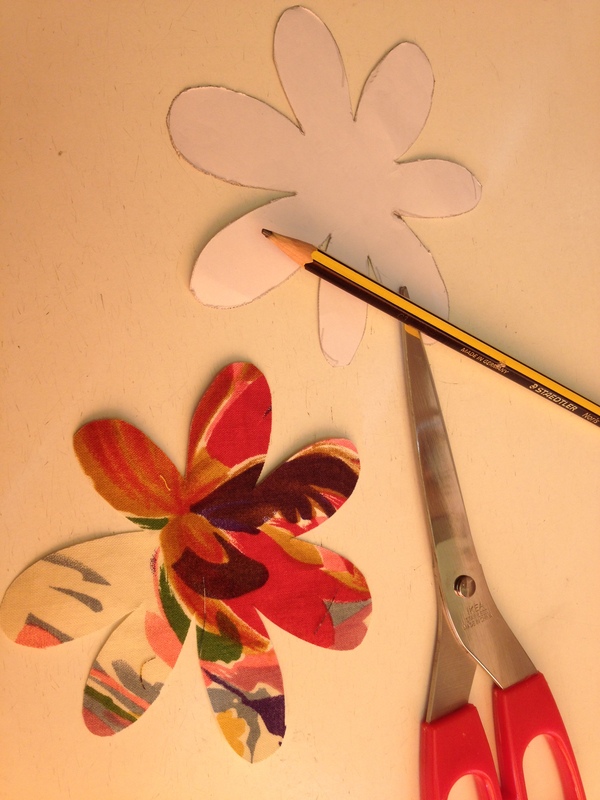 I cut out 10 flower shapes altogether. I then stitched the flower shapes on. 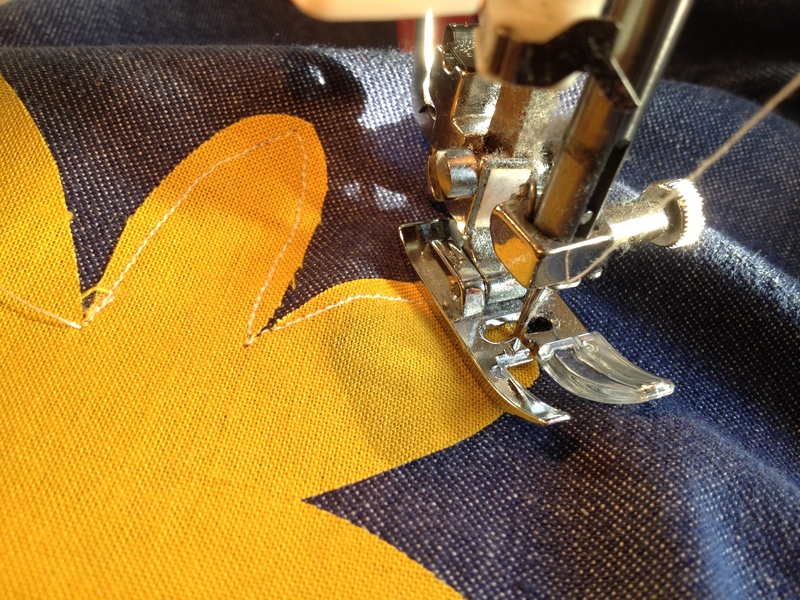 I do like doing ‘proper’ applique with beautiful satin stitches around the edges. 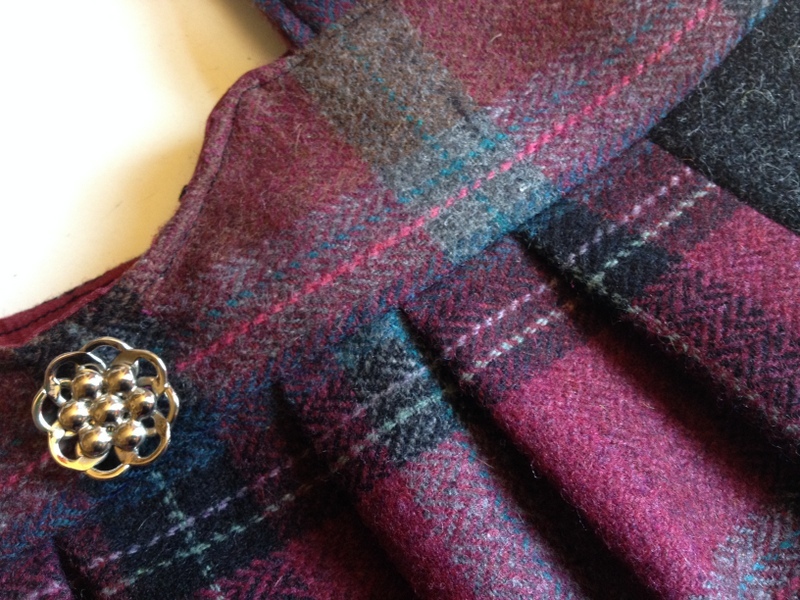 But I also like the folksy-style of straight-stitched edges that are then allowed to fray. 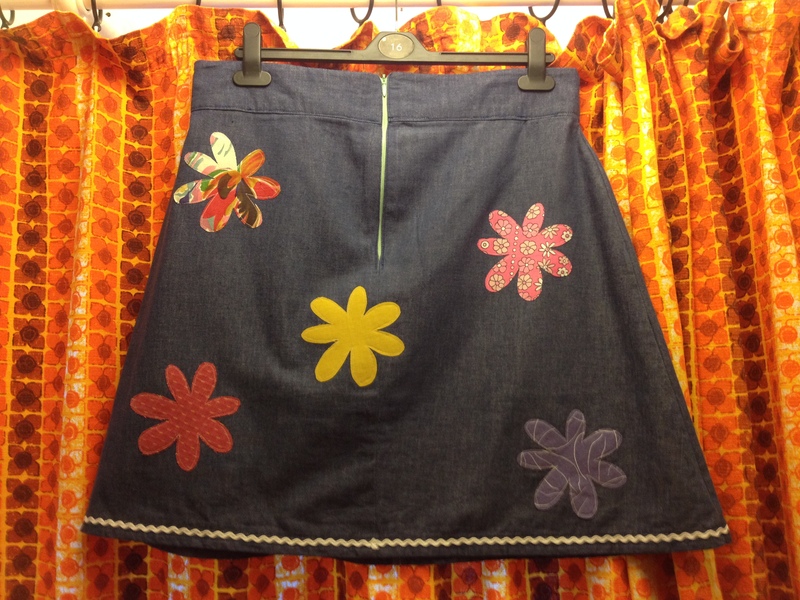 So I did it that way, because I think denim is quite a casual fabric and lends itself to a bit of folksy-style decoration! I wanted a random placement of flowers as the nick was next to the seam! Well, it took me about an hour and a half (including going downstairs to make a cup of tea!) and I am quite pleased with the finished result, front and back. Hopefully I’ll get lots of wear out of it. Let me know what you think! 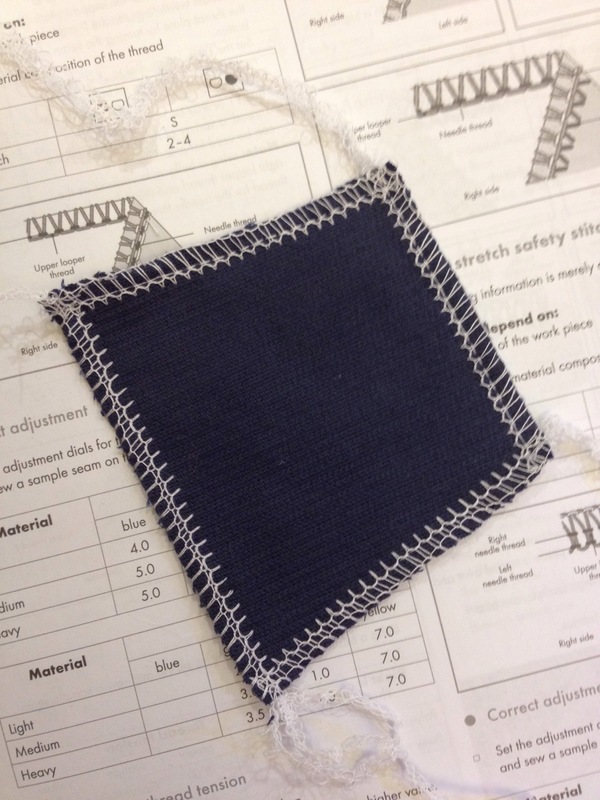 I’d also love to see any of your rescue remedies for when things don’t go quite right with your sewing! 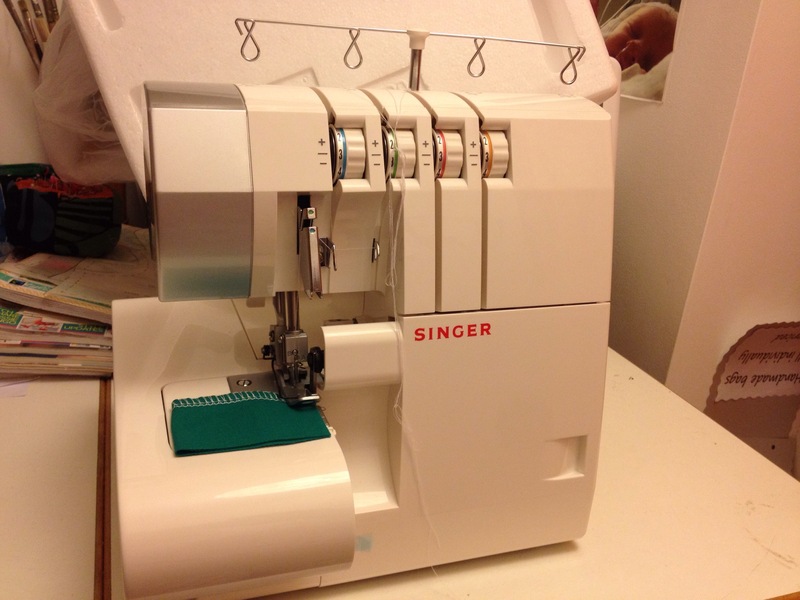 My lovely Mum queued at 8am yesterday to be one of the first in to her local LIDL in order to get me a Singer overlocker which they had in on special offer. I teach all day so they would have sold out by the time I could get there. Have wanted one for so long! As it happens, Mum was one of the first into the shop but by the time she got to them, there were only two left! Wow! She picked it up, along with some cones of thread. What a lovely Mum! So, I got it tonight and after a bit of confusion with the manual and the need for a glass of wine, I managed to thread it up and try it out! Am obviously going to be using it for neatening seams etc. but can anyone recommend a good book or blog/website for other tips and ideas in getting the most out of it?